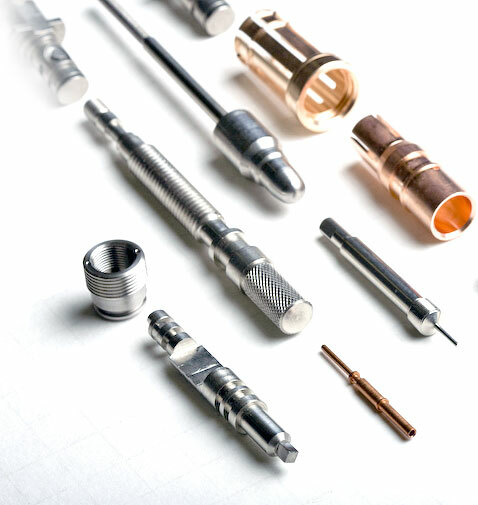 Iseli has been providing screw machined parts since 1946, successfully adapting to all the business changes that have occurred since that time. We will be an effective, long-term supplier partner. Iseli is ISO9001:2015 registered and supplies components to some of the world’s most demanding customers. Iseli utilizes an on-line, computerized SPC system, capturing critical data to assure product quality and provide our customers with relevant data, if required. Iseli utilizes a computerized Gage Recall and Calibration system to assure our inspection equipment is functioning properly. Iseli will work with our customer to develop a Kanban or JIT release program to provide very short lead times. Iseli brings an On-time Delivery record that is “best-in-class” to our customer base. Iseli provides local sales representation to assist in responding and reacting to our customers’ needs and requirements. Iseli maintains complete in-house engineering and tooling capabilities, including CAD/CAM tooling design software to provide the shortest time from receipt of order to the part being tooled and ready to run. Iseli processes virtually all commonly machined materials, along with some less commonly used materials such as titanium, monel, inconel, engineered plastics and others. Iseli’s 100,000 square feet of space, and nearly 400 Swiss screw machines, provide the capacity required to support a large scope and span of projects. Iseli utilizes “lean manufacturing” principles to assure our cost competitiveness and improve our ability to provide excellent customer service. Iseli provides exceptional “Value Engineering” services, taking advantage of our depth of engineering, tooling and processing expertise to provide our customers with input regarding potential modifications to design features or material that will result in lower costs. Iseli exercises its procurement leverage to be sure that we are acquiring materials at the most competitive levels.